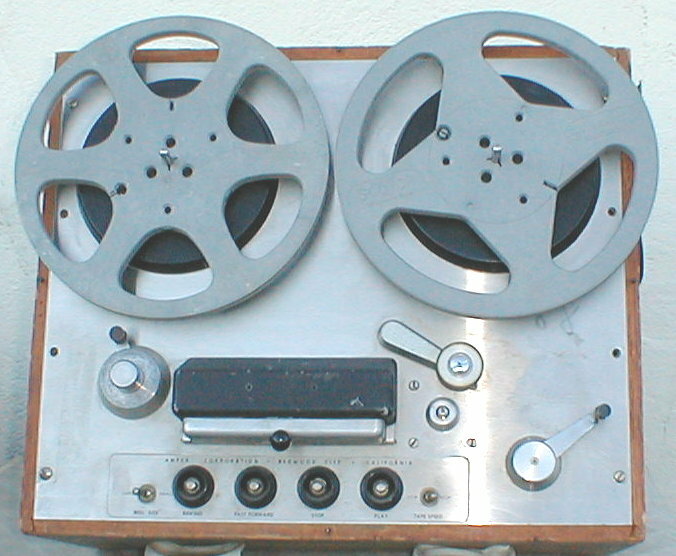 Vintage Media Equipment audio video page. Almost our entire inventory can be considered "vintage," and our audio video inventory is therefore almost entirely "analog." Each category in this listing represents about 5% of our inventory in that category. This inventory is much more extensive than space permits listing entirely, so don't hesitate to query us with your needs if you don't see it listed here. Equipment listed was functional when put in storage and will be tested before shipment to insure it is serviceable. We have supplied prop departments and museums with cosmetically perfect but functionally inoperative equipment for their stage sets and displays at very low prices. Our parts inventory includes everything from radio tubes and magnetic recording heads to various mechanical and electronic sub-assemblies for a wide variety of equipment brands. Some items come with instructions and/or schematics, and we are prepared to consult with you on the viability and adaptabiity of our equipment to your needs. Again, if you don't see it, ask!